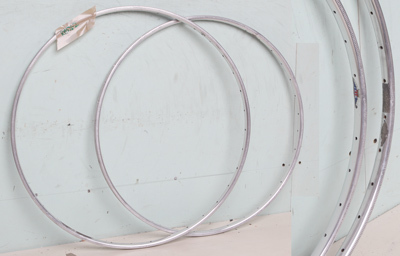 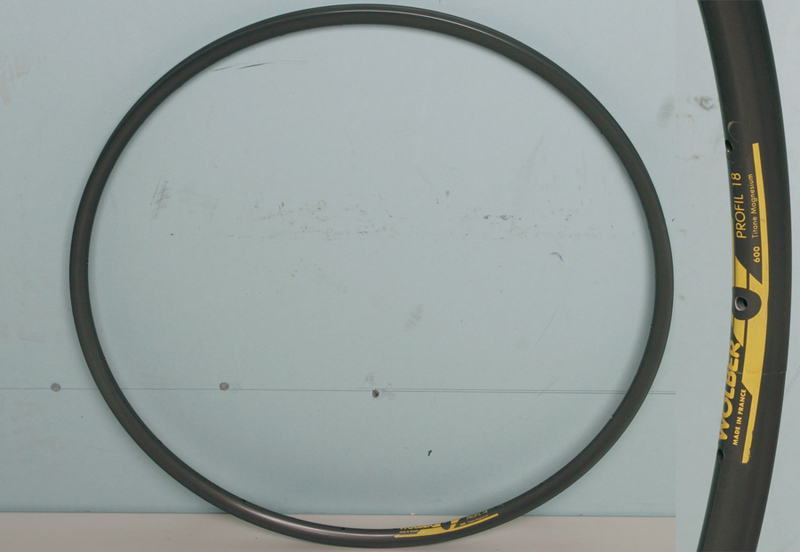 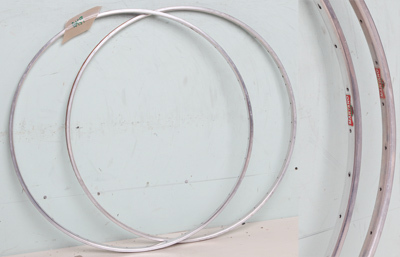 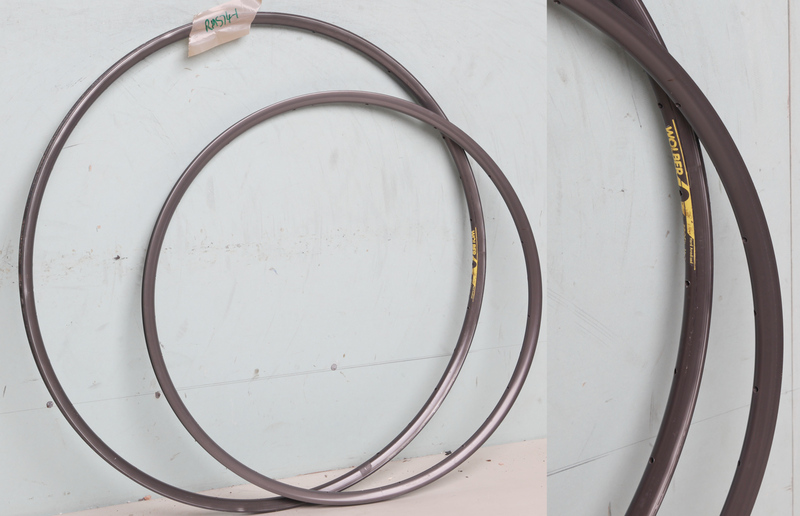 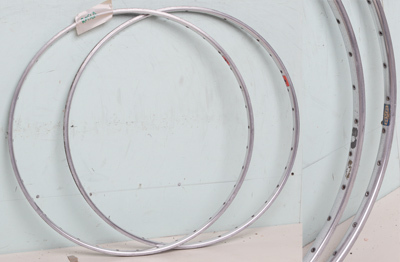 Sprint rims are for use with tubular tyres which are either stuck on with glue or tape. 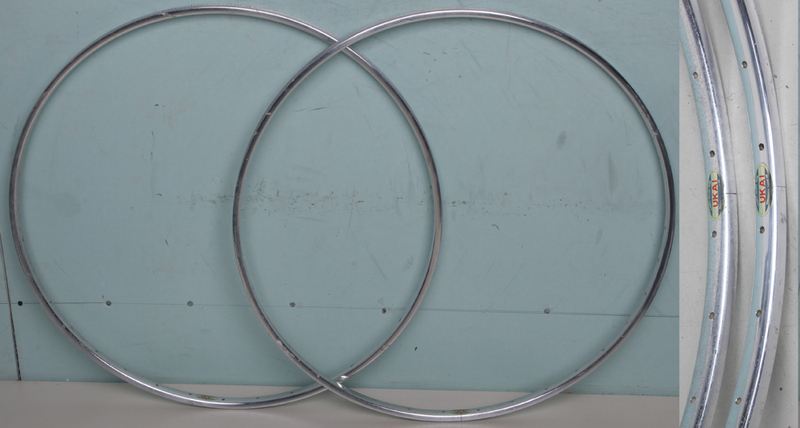 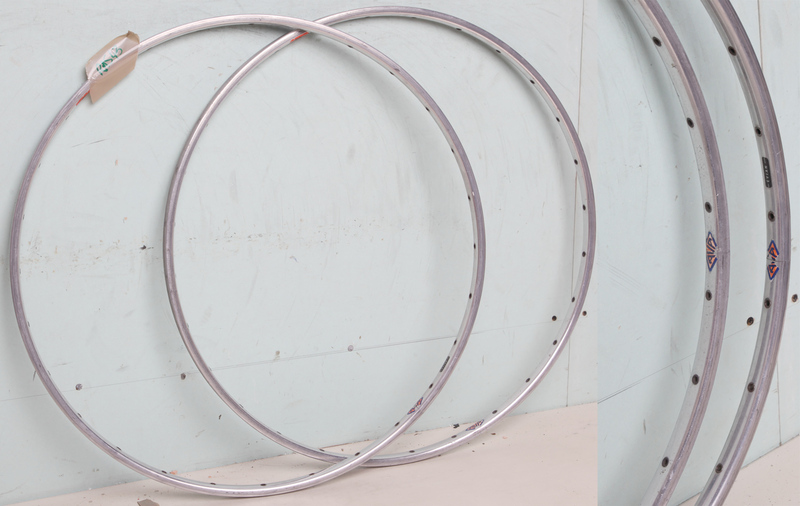 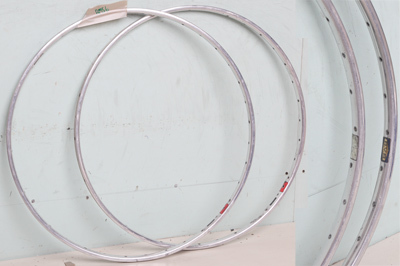 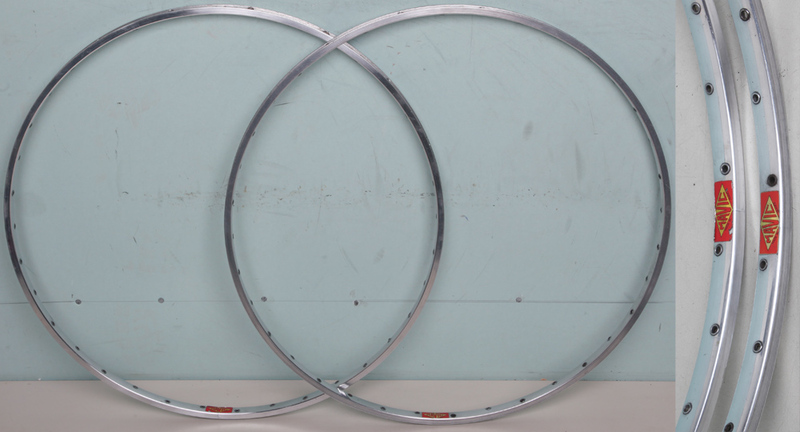 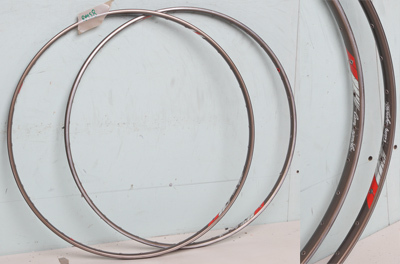 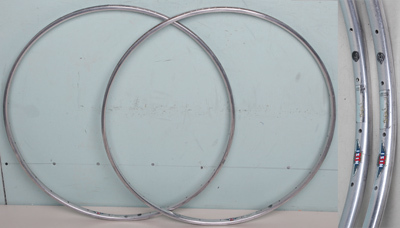 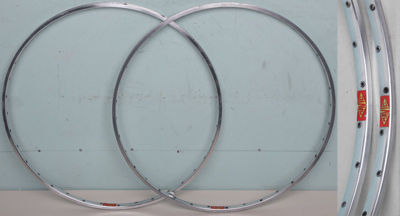 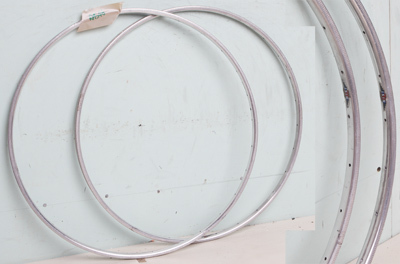 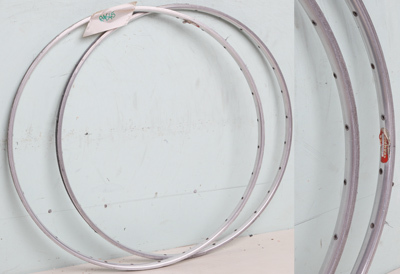 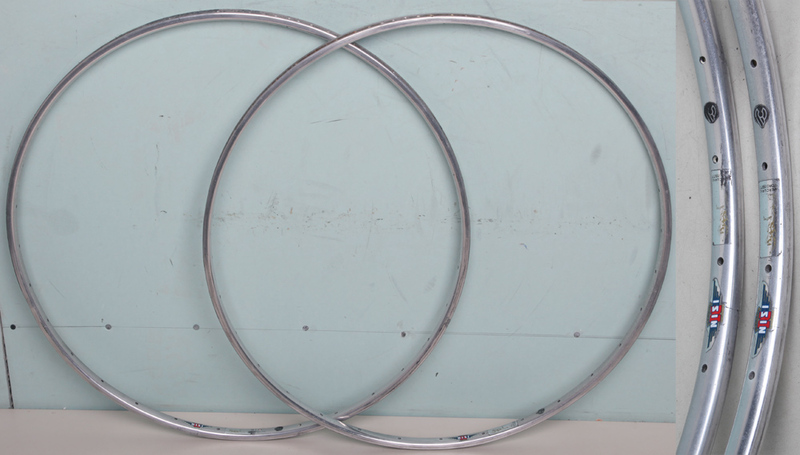 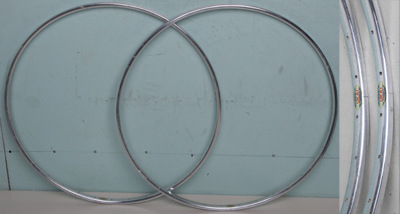 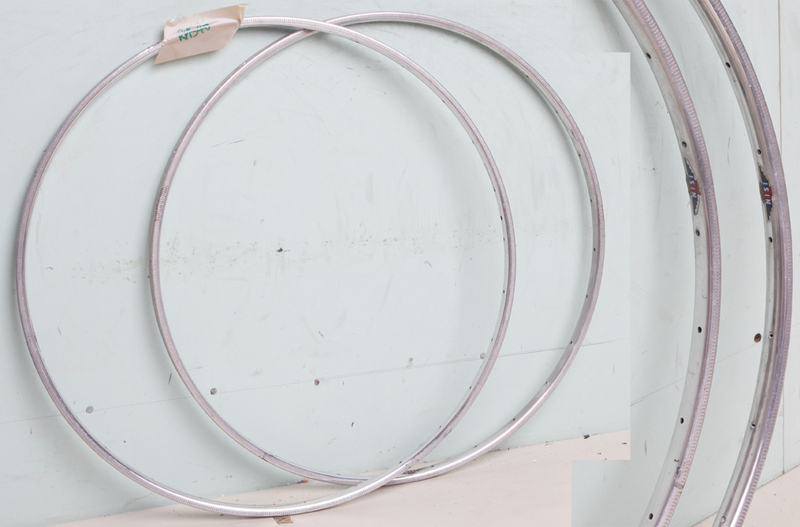 Almost all are equivalent to 700C rims in size; there are some other sizes available which these days are most commonly used for the front wheel of lo-pro or stayer frames. 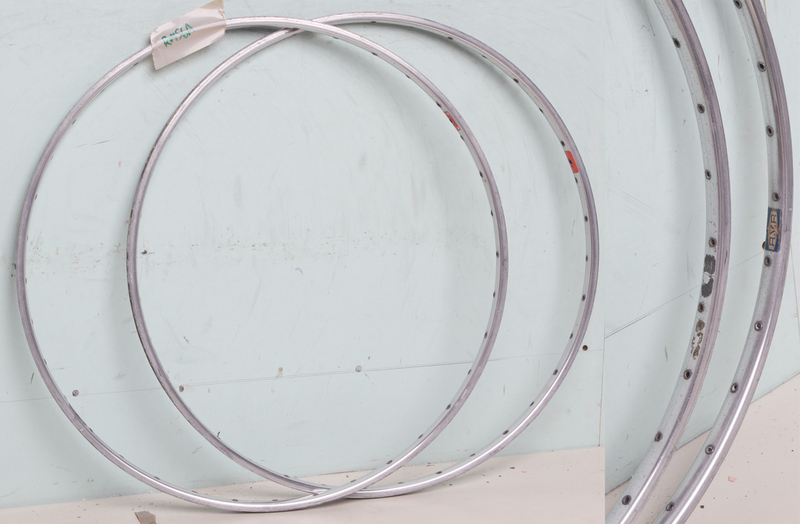 All rims listed here are 700C (which have confusingly been called 27in sometimes) in size unless otherwise specified. I have a selection of 24in and 26in sprint rims not listed; please enquire if interested. Sorry none at present listed, please enquire.